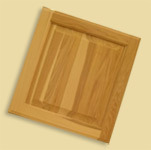 We offer a wide selection of cabinet doors with a number of available wood species. 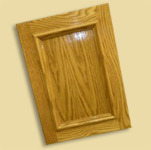 Raised and flat panel, applied moldings, frame and mullion, or wainscot are all available. You are also given the convenience of selecting your individual profiles that your door will carry. There are a number of standard inside, outside, and panel profiles for you to choose from. For those that have a specific door that needs to be matched, we can accommodate you as well. You can either send us a sample or sketch and we will generate a dimensioned drawing for you to verify. Once we have your approval, we will custom make knives to duplicate your doors. This process will typically add 5-10 business days to your order from time of verification of drawings.